Full Sail Partners, a Deltek Platinum Partner, is excited to announce that it has been recognized by Accounting Today on the top 100 VAR list for 2018. Every year Accounting Today picks the top value-added resellers (VARs) of accounting software, and Full Sail Partners has been ranked in the top 100 again this year. In fact, it has increased in ranking by ten, which is a 25-position increase over the last two years. Each year a select group of 100 organizations are honored for their accomplishments as VARs. The top VARs are chosen from firms focused on sales and implementation of accounting and Enterprise Resource Planning (ERP) software. Criteria used to determine the winners include 2017 revenue, number of offices, and staff size. Accounting Today’s VAR 100 also indicated that a cloud offering is a must for VAR clients, and these clients are actively seeking higher-level capabilities from their technology. They are asking for analytics, intelligence and automation. Conveniently, Full Sail Partners has positioned itself to respond to these exact needs. With its Blackbox Connector capabilities and emerging business intelligence offerings, Full Sail Partners intends to keep developing solutions to fit client growth and desires. Accounting Today is a leading provider of online business news for the accounting community, offering breaking news, in-depth features, and a host of resources and services. 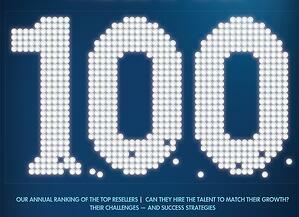 The VAR 100 list is an annual report developed to rank the top technology resellers in the accounting and ERP spaces.